Give a unique gift to be treasured. This is a very popular service that I so enjoy providing to my customers. 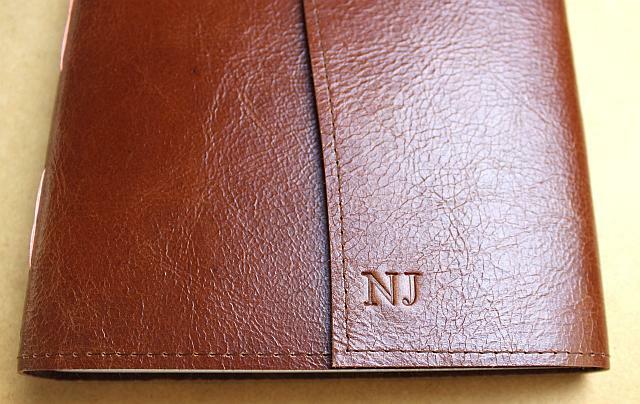 Create a Title page or Deboss the leather with a monogram or name. Very rarely do most of us have the opportunity to see our name in a book. And is a wonderful surprise gift for friends, colleagues and beloved family members. 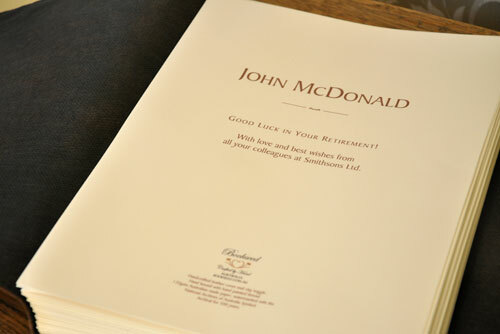 I receive such lovely feedback from those that have received the personalised journals as gifts. As such, I also try to keep the cost to a minimum. Currently $10 per page. Just add the 'Personalised Page' option to your cart, fill in the text box and I'll email you back a proof before printing. Simple! Deboss the leather with initials, a name or a title. 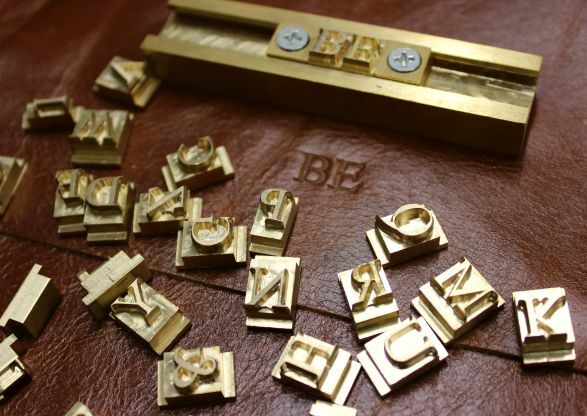 Beautiful brass letters are set into a block, heated and pressed under heavy pressure into the leather. How much can I fit on the page? Think about the sizing of the journal - A4, A5 or A6 and then add as much or as little as you like. Remember that most pages look better if there is space around the text, so crowding rarely works well for title pages. Some people add just a name, or a quote, or both. Others write a few pages of special words. How will my page look? I always create a proof and email it to you for your consideration and approval prior to printing. And I'm happy to tweak until you are delighted with the layout. Can I have more than one page? Yes. Just select more pages in the shopping cart and feel free to email me your wording. I will not print anything until I've received your approval on the proof that I email you, so don't be concerned if the words aren't absolutely perfect in the text box. Can you suggest some nice wording for the occasion? Absolutely. I keep lists of quotations and verses that suit a number of occasions so feel free to request some suggestions. Can I add an image? Yes. However, keep in mind that the image will not be photo paper quality as I am printing on the beautiful archival paper. Can you emboss on the leather?